Two FREE printable Father’s Day cards from Teepee Girl that are the perfect universal cards for any dad in your life! One of the cards features the phrase “Happy Father’s Day!” with a picture of a mustache, while the other card says “For the World’s Best Dad, #1, I Love You!” with a trophy on it. There’s even a free envelope template included that will fit your card perfectly. 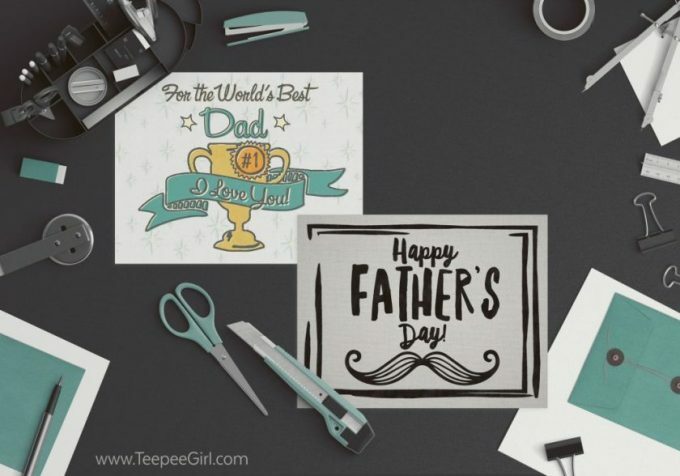 Click here to get these FREE Father’s Day Card Printables from Teepee Girl.